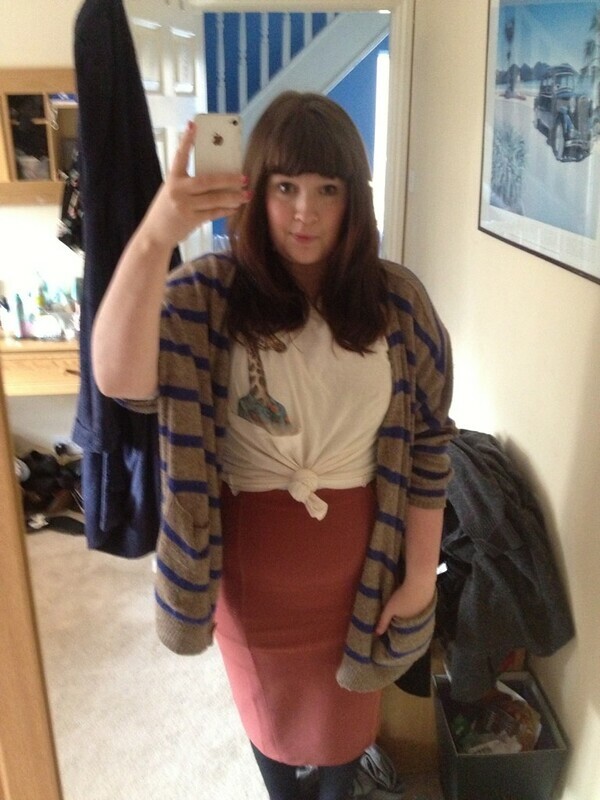 I am currently in love with this cardigan/skirt combo. I find it hard to accentuate my waist in the winter especially since I realised that wearing a belt made me look like two sausages next to each other. But I have no found this skirt from Monki that is so tight it takes quite an ordeal to get into but when its on shows off my waist and is neutral enough to go with quite a few things. I have been wearing this cardigan when I don't know what to wear for about two years now. I bought it from Olive Clothing when I worked there for a little while and every piece I bought there has become a favourite. I found this T Shirt on Svpply but it has since been deleted and so I can't tell you where its from. What I can tell you is that is has a GIRAFFE IN A HAWAIIAN SHIRT which is what I never knew but was always looking for in an item of clothing. My nails are my new obsession. 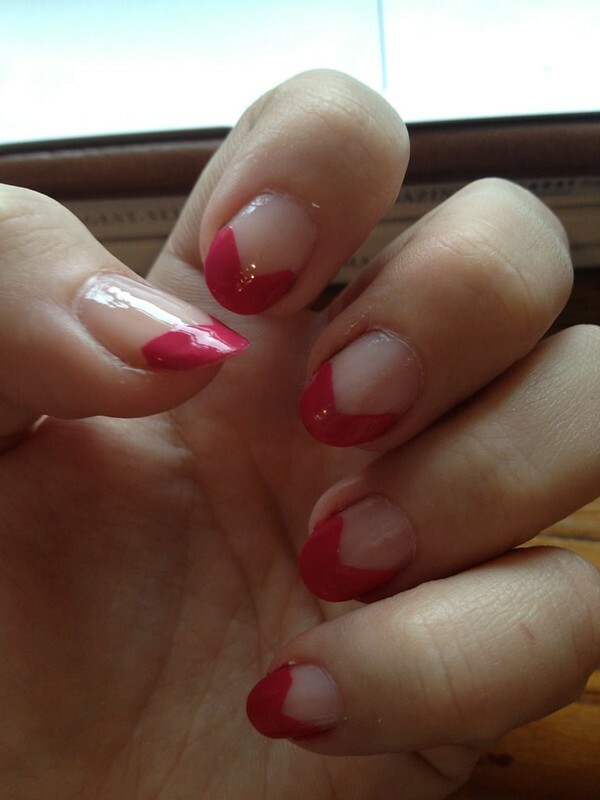 I have decided to call it a 'Ribbon Manicure' and I've done it loads of colours. 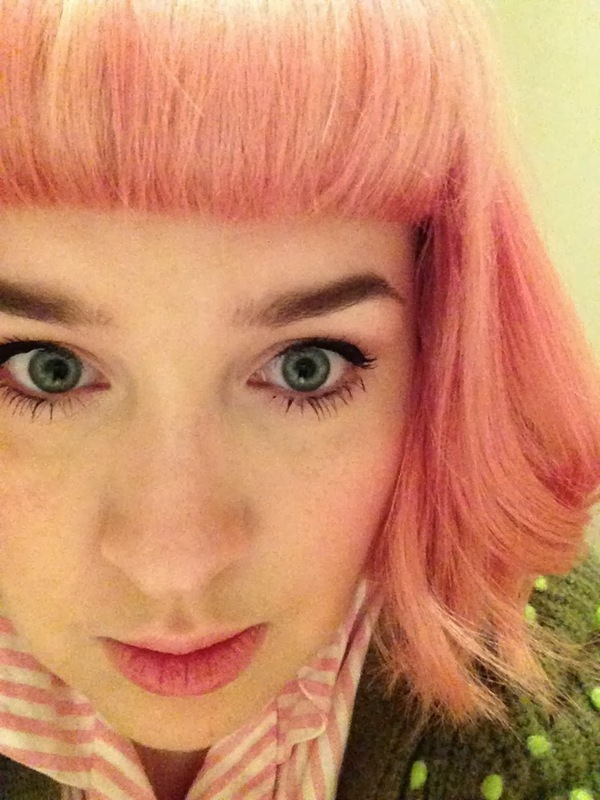 This bright pink which is Chanel in 'Rose Exuberant' with Chanel in 'Ballerina' underneath is particularly pretty though. INIKA Certified Organic Eye Liner in 'Black"